Relatively low energy density in batteries, 265Wh/kg. We may be only a decade away from economically competitive subsonic or supersonic electric passenger transport. Beyond breakeven, battery improvements allow continual improvements of range within the same airframe. Develop a series of innovative tabletop scale drones which develop the metric of maximum speed. Must run on rechargeable batteries. Produce a steady stream of documentation to spread ideas. 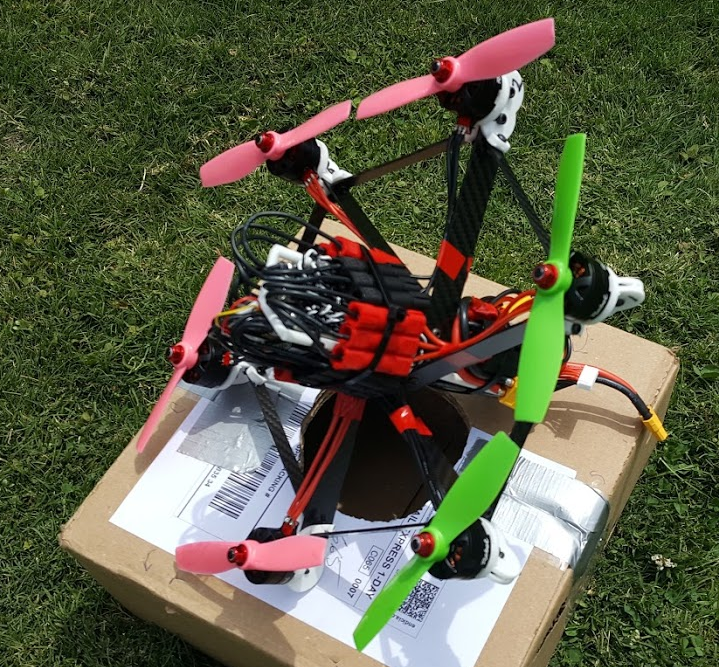 I built, flew, and fatally crashed a drone based on a carbon fiber and 3D printed frame. It was based very loosely on the Stigg 195 concept (https://www.catalystmachineworks.com/products/stig-6-fpv-racing-quad) which at the time held the speed record for small electric drones, at 137mph. All new 3D printed design, 200mph speed goal. Also, crashing less =D. If someone knows of a leaderboard with record progressions for all classes please let me know! Can you help me? Get in touch! Are you planning on eventually creating your own batteries? or slowly upgrading over time as commercial battery tech improves? My plan is to build a compelling tech demonstrator with current COTS technology. I do not think trying to out-compete Samsung, Tesla, etc in delivering batteries - a commodity product - is a very good idea.